That first Disneyland vacation is something every parent wants to be magical for their children. But Disneyland with toddlers can be a bit overwhelming. Between maintaining nap time, potty training, and trying to find what attractions are toddler friendly, a parent’s head starts spinning. These must-read Disneyland tips and tricks will help you not only survive your visit, but help make magical memories you will cherish for a lifetime. Disneyland has always been our home away from home. My oldest son, The Goof, went multiple times each year starting at ten months old. We took our twins at three months, and again at six months before our family took 18 months off from Disneyland. When we decided to return to Disneyland we had not one, but two, two-year-old toddlers. 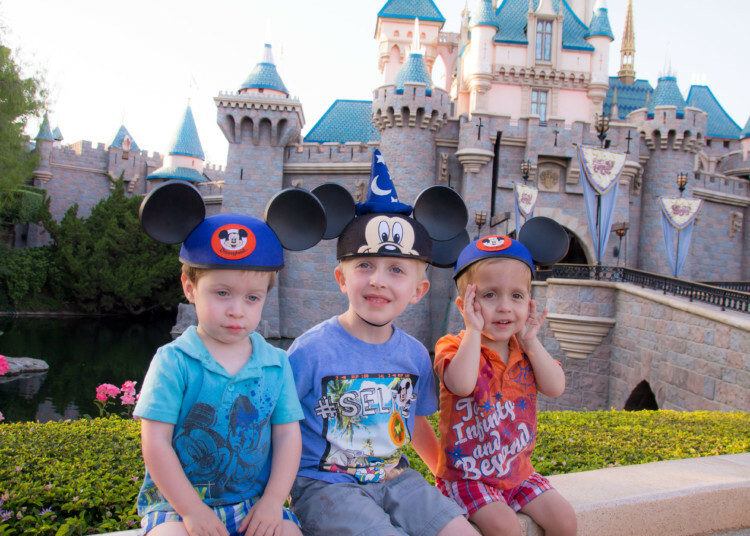 The thought of Disneyland with two toddlers and no extra help was a bit overwhelming for even this Disneyland regular. 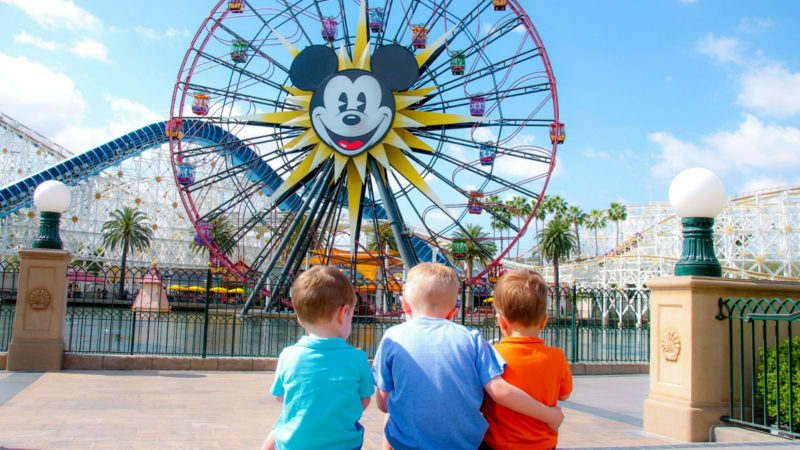 We have now gone two times with twin toddlers, and look forward to our next visit because of the Disneyland tips and tricks that I am going to share with you. Why Do Disneyland With Toddlers? Maybe you have been told not to bring toddlers to Disneyland by friends or family. Or maybe you have heard that Disneyland isn’t for the littlest mouseketeers (spoiler alert: Disneyland is for kids of all ages). Maybe you just are wondering why someone would want to go with a toddler rather than waiting. There are several reasons that parents choose to go to Disneyland with toddlers. Here are just a couple. Do you remember the magic of your child’s first laugh? Do you see how excited your toddler gets when Mickey Mouse Clubhouse comes on the television? Now take that feeling and imagine it times one hundred. There is something so magical about seeing Disneyland through your children’s eyes, especially when they are at the age where they believe in the magic. My oldest son is now seven, and has known for about a year how things work behind the scenes. The twins though, they see Mickey Mouse and their eyes light up because that is THE Mickey Mouse, not a cast member. Seeing their reactions and living those moments with them makes memories I will remember, even if they may not. 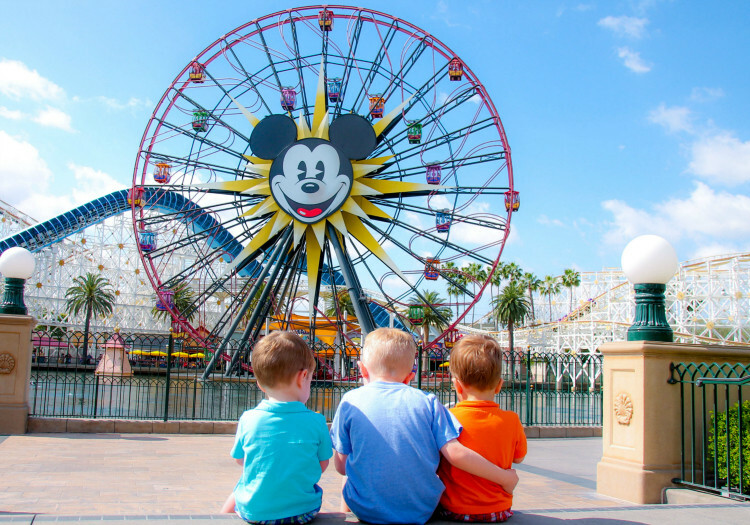 A major plus to Disneyland with toddlers is that kids under the age of three are free. You can bet with two toddlers, we are making sure to take advantage of the free entry. This is our year of Disneyland. We even bought annual passes for ourselves and The Goof. A little known tip for when you plan your trip, as long as your child is under the age of three on the first day of entry, they are free. That means you can plan a trip for your little one’s third birthday, and as long as you arrive before their special day, they are free the entire trip. 1. Bring the stroller, or better yet, rent one. Our twins usually walk when we go on outings as a family. Even though they can spend all morning walking at the zoo or the nature center, Disneyland with toddlers is a whole different ball game. I definitely suggest using a stroller when you go to Disneyland. Many guests log seven or eight miles of walking during a day at the parks. That is a lot of walking for little ones. For us, with toddler twins and another child, it is also a safety issue. It is much safer for us to have our twins buckled in a stroller seat than trying to navigate around the park with them walking. You can always bring your own stroller but, if you prefer, renting a stroller is a great option. One of my favorite Disneyland tips and tricks is to rent a stroller through City Stroller Rentals. They deliver the stroller and any other baby gear you rent through them right to your hotel so it is waiting for you when you check-in. We love their strollers as they rent high quality strollers and sanitize their equipment between rentals. I also love that their strollers are usually a better deal than renting through the parks plus, unlike Disneyland’s strollers, they can leave Disney property. That means I can use them at other area attractions. Besides strollers being great for transporting kids, they are also great for storing extra jackets, water bottles, and other things you don’t wish to take on the rides. You simply park your stroller near the ride and get in line, and the stroller can hold some of your excess stuff. I definitely wouldn’t leave anything valuable in the stroller, but it does help lighten the load a little bit. 2. Baby Care Centers aren’t just for babies. Disneyland has amazing Baby Care Centers in each park. In Disneyland, the Baby Care Center is located on Main Street, next to the First Aid Station. In Disney California Adventure, the Baby Care Center is located next to the Ghiradelli Soda Fountain and Chocolate Shop. Contrary to the name, these centers are not just for babies. I love taking my toddlers here for snacks as the centers have high chairs, microwaves, and more. Probably the best part about the Baby Care Centers though is the little toddler-sized potties. I love these because sometimes toddlers who are potty training, or newly potty trained, are scared of the big toilets. Especially with the automatic flushing ones. TravelingMom Tip: If you do need to use the big toilets, putting your hand, a sticky note, or some toilet paper over the sensor can help stop it from automatically flushing before your toddler is done going. Other services I have found helpful in the Baby Care Centers are the changing tables, the nursing chairs and even the main area with a television and table and chairs for when my toddlers just need a break. I know the Baby Care Center also saved me when I accidentally forgot to bring diapers (oops!) and I was able to purchase some there. Thankfully I had cash on me, since that is all they take. They also have a supply of formula as well for those with infants. 3. Surviving Lines In Disneyland With Toddlers. One of the biggest concerns I think parents have when taking toddlers to Disneyland is what to do with them in the lines. Lines can get pretty long, especially during peak season. While older kids can easily be entertained with games and electronics, it is a little trickier to entertain the tiniest mouse fans. I have learned there is one thing that helps us get through those long lines with out toddlers. Food. Seriously though, lines are a great place to eat snacks and get hydrated. I always worry my kids are not drinking or eating enough because they are distracted by everything. I find that the lines have less distractions and my kids are happy to focus on eating and drinking. In fact, this is usually where my kids realize how hungry they are and start whining for food if I don’t bring it. You can either bring in your own snacks, or Disneyland has some great snacks sure to please your little one. I will not forget the first ride we took our twins on when we took them to Disneyland right after their second birthday. Why? Because it went horribly. The first place we went to was Cars Land. One of our twins is a huge Cars fan. Plus, we had measured them and our twins were 32″ so we wanted to hit up a ride with a height requirement. What did we choose? Mater’s Junkyard Jamboree. Can I just suggest a ride that jerks you around and sends you sliding across your seat not be the first ride you choose when doing Disneyland with toddlers? Especially if it is their first time going since infancy. Both our twins were terrified of the ride. Was it memorable? Yes. But not for the reasons I would have liked. I have found there are a few rides most toddlers enjoy. The carousels are often a hit with toddlers, especially if they may have ridden one in the past. Plus mom and dad can ride behind them or stand next to them if needed. 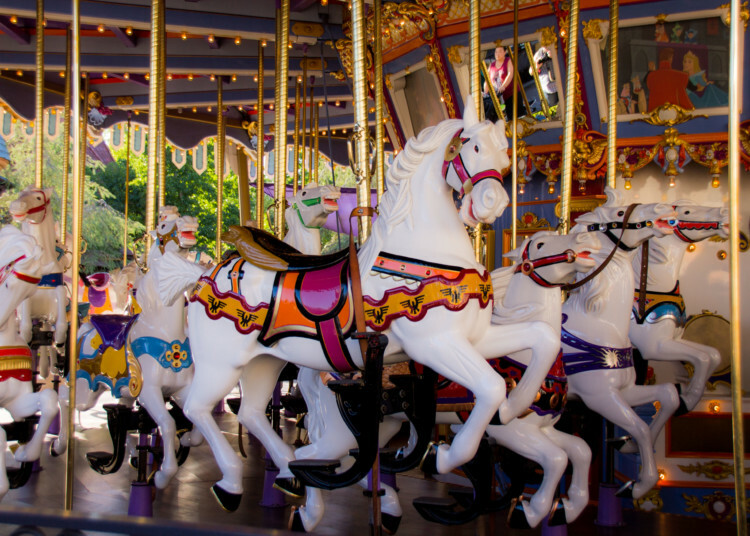 Children also tend to enjoy Dumbo and the Astro Orbitor as they go around in a circle. What kid doesn’t like to use the controls to make their vehicle go up and down? 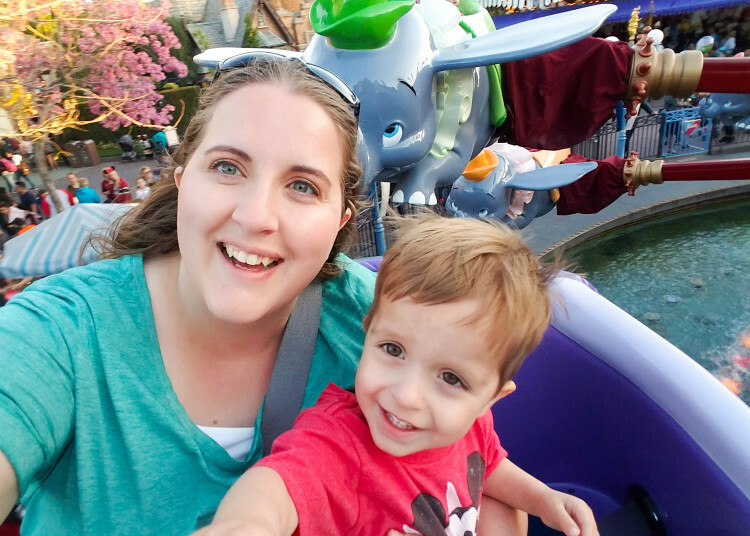 Most Fantasyland rides are also a hit with toddlers, mine included, but some toddlers find Snow White, Pinnochio, and Mr Toad’s Wild Ride a little scary. Whatever you choose, I suggest starting slow and following your toddler’s lead. One of my best Disneyland tips and tricks is about meeting characters with toddlers. Every child is different and you never know how they will react to the characters. Our oldest has loved characters since his first visit at ten months old. Our twins are a different story. One loved the characters but the other hated them to begin with. One thing we found helpful was to let him admire the characters from a distance. We never forced him to hug or interact with the characters. For pictures we would usually hold him and stand a bit further away. As he warmed up to the characters, we started searching out more laid back meet and greet options. We would meet Mickey at his house, or we booked a character meal. We also made sure to let the characters know he was bit shy. The cast members and characters were great and always made sure to let him initiate any interaction. The important thing with meeting characters is to follow your child’s lead and be prepared for the fact you may not get that cute picture with Mickey or Minnie, and that is okay. 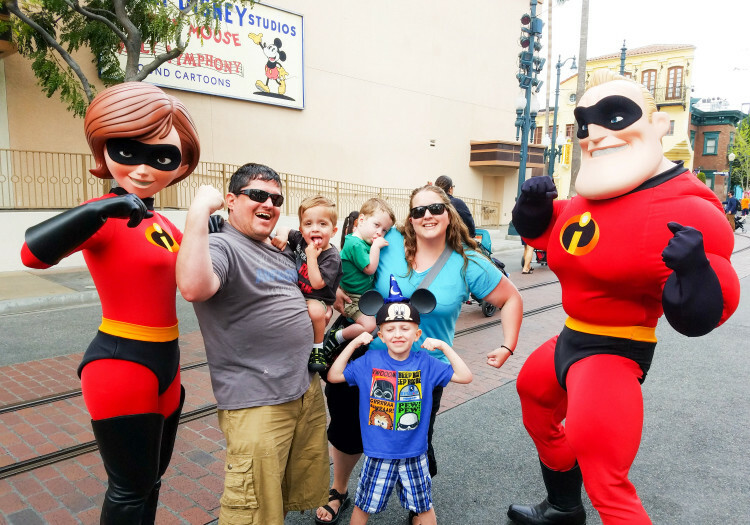 These are some of the tips that have made going to Disneyland with toddlers less stressful for our family. 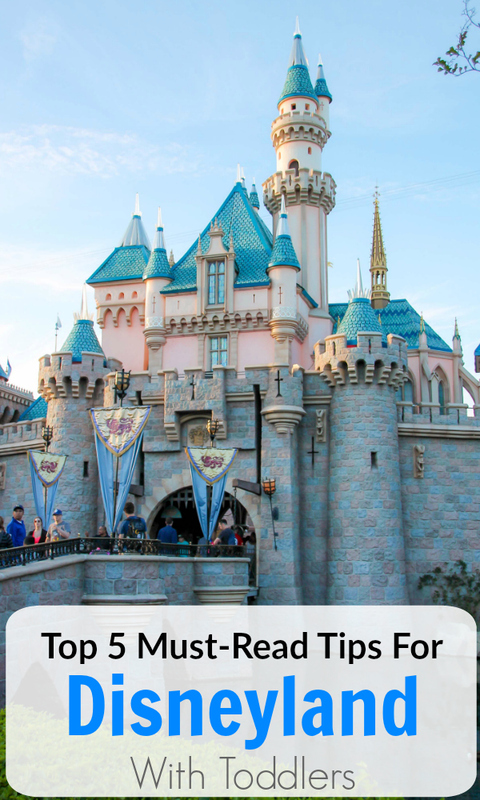 Of course, there are more Disneyland tips for those planning their visit. 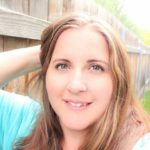 If you are planning your vacation while expecting, be sure to check out these tips by Day Trips TravelingMom. Julie Bigboy.